← How to find which VMDK is associated with which disk in Windows Server. VMware recommends the certificate authorities to generate certificate using SHA256 and also in SSO LB document they mentioned not to use SHA 1 signature algorithm for SSL certificate. 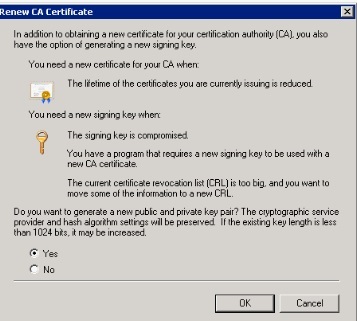 Pls find the below steps to upgrade the CA to SHA256. After the change CA will issue now SHA256 as Hash Algorithm and also we can renew CA to use SHA256. This entry was posted in Certificate, Windows and tagged certificate, SHA1, SHA256, SSO LB. Bookmark the permalink.